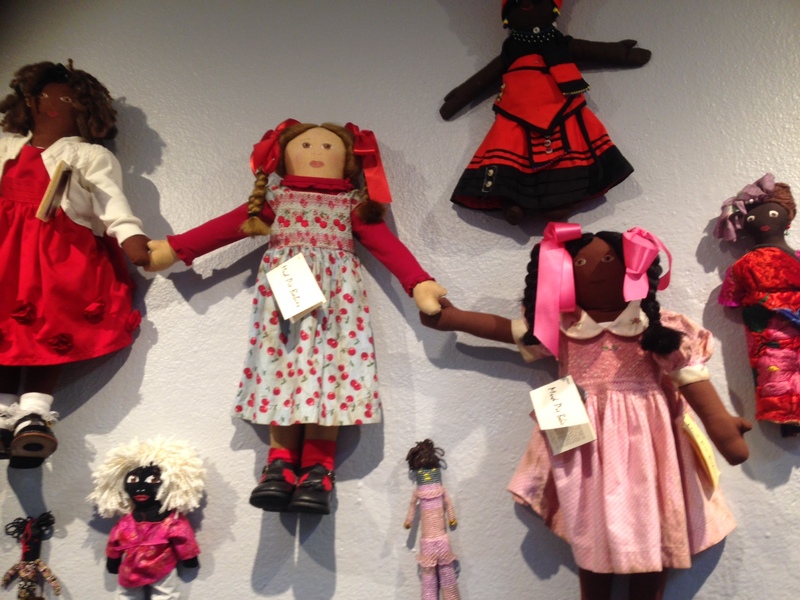 Last month, December 12th was the opening of the 35th Annual Black Doll Show at the William Grant Still Arts Center. 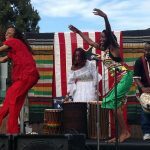 The annual tradition, started in 1980 at the West Adams community center, was inspired by the “Black Doll Test” in the 1940s, which showed many African-American children preferring to play with white dolls over black dolls. The center’s website says “positive self image is just as necessary for Africans and all people of color within the continent and in diaspora” and the annual show is just as relevant and important as ever, pointing to a doll test that had the same results in 2005, as documented by then 16yo student filmmaker Kiri Davis in her film A Girl Like Me. Each year’s show has incorporated a different theme, and this year’s show is entitled Trench Art Retrospective: The War Against HIV/AIDS. 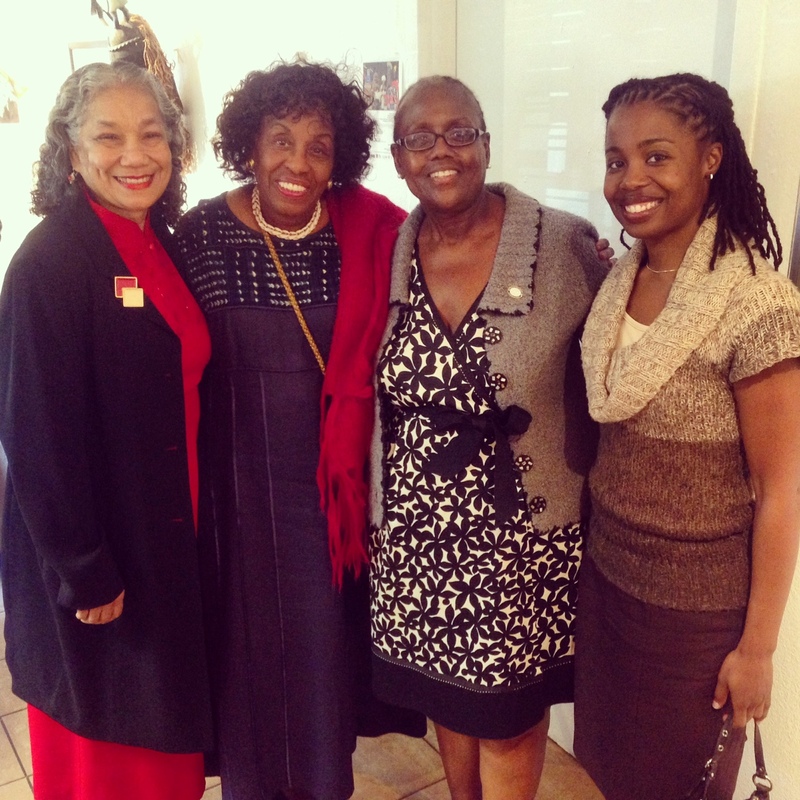 Women of the African Diaspora in the Trenches. 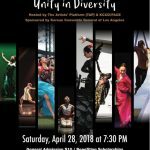 The theme is the brainchild of this year’s curator, Cynthia Davis, MPH, DHL, who has been working in public health for over 35 years, specifically with health education, outreach and advocacy for HIV/AIDS patients in at risk and medically underserved communities in Los Angeles County. Professor Davis was involved in the development of the first mobile HIV testing and community outreach project in LA County in 1991, and an avid doll collector herself, she developed the Dolls of Hope Project in 1998, which in its 17 years has globally distributed over 6,000 handmade cloth dolls to AIDS orphans, women and youth affected by HIV/AIDS. 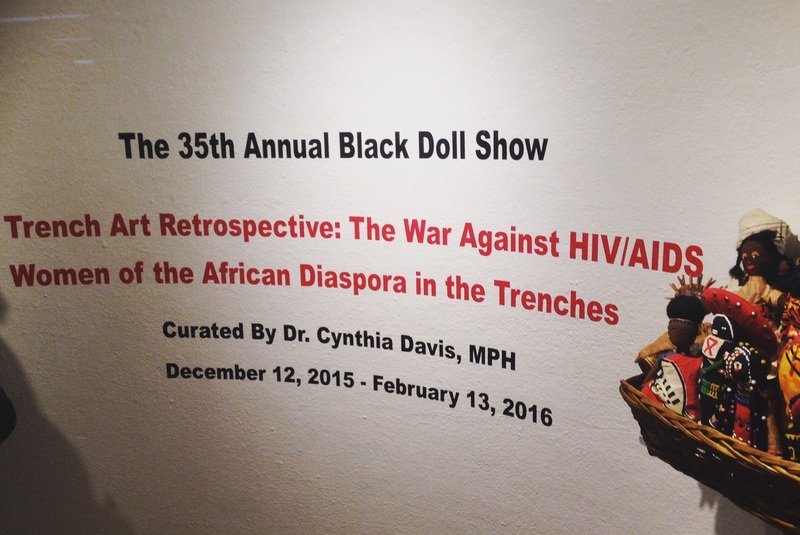 It is not only fitting but also highly pertinent that Professor Davis used this year’s doll show to raise awareness on HIV/AIDS, particularly as the disease continues to disproportionately affect women of color in marginalized communities. With improved treatments, HIV/AIDS is no longer seen as a death sentence, however Blacks continue to be disproportionately affected and the rate of new cases is still on the rise in the Black population. In an interview with Professor Davis at the opening reception, she says next to young Black gay men, Black women of child-bearing age are the next highest group affected by HIV/AIDS and compounding their plight is social stigma and shame from communities they live in. Listen to the complete interview to learn more about Professor Davis’ work to break the silence surrounding HIV/AIDS in the Black community. 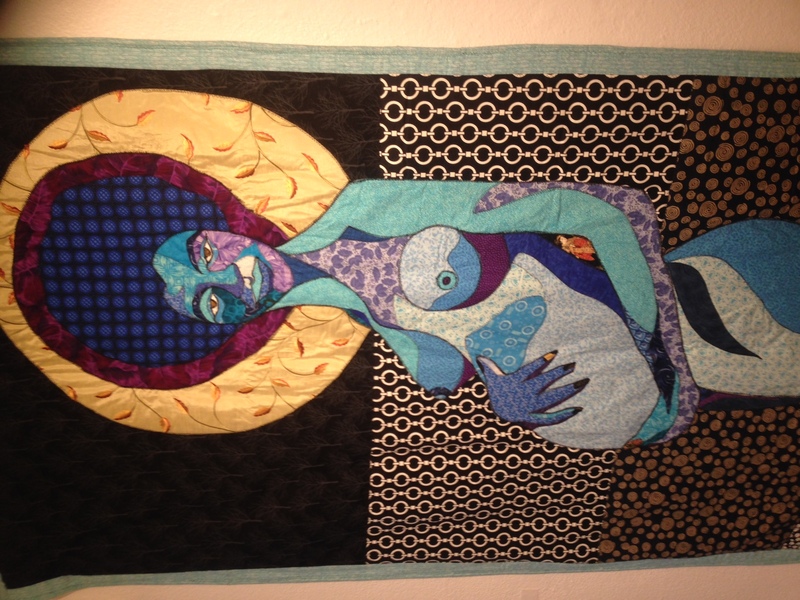 She hopes that the art will empower people living with HIV/AIDS and others at risk in the community to positively address the stigma, shame, fear and isolation regarding HIV/AIDS. The doll show continues free through February 13, 2016 and has a diverse collection of approximately 200 artist dolls, sculptures, a sampling of community-created handmade dolls from the Dolls of Hope Project, artist-designed altars, and quilts, including a section of the National NAMES Project Quilt. 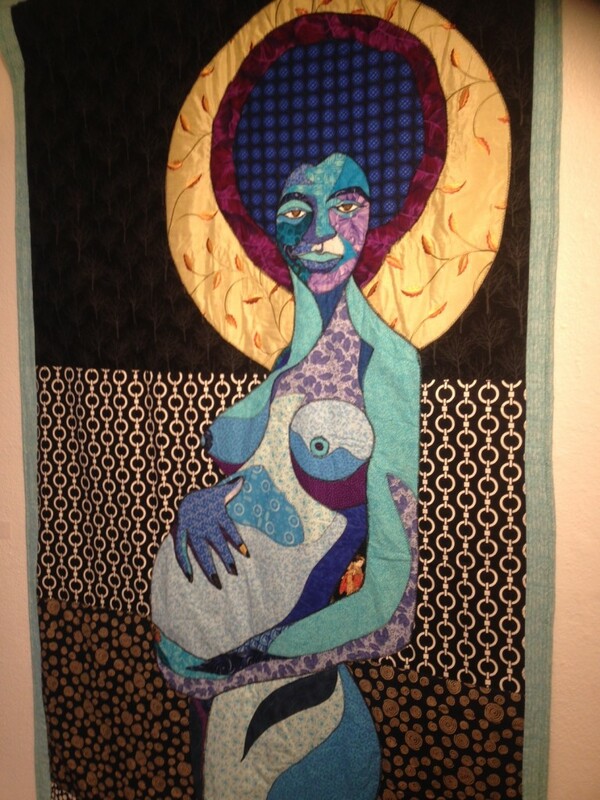 Allyson Allen: Award-winning Master African American Quilt and Doll Artist. Stormyweather Banks: Award-winning wedding dress designer and creator of the Stormyweather Doll Collection. Floyd Bell: Self-taught doll artist whose dolls have been displayed in the White House and the Louvre Museum in France. Ofelia Esparza: East Los Angeles artist and educator widely known for her 30 plus years of Dia de los Muertos altar installations. Ingrid Humphrey: Creator of The Original Sister Dolls Collection. Bernard Stanley Hoyes: Visual artist born in rural Jamaica, who has led an extensive art career since emigrating to the United States at age 15. Gary Jones: Sculptor, puppet artist and founder of Blackstreet USA Puppet Theatre, which has been performing since 1974. Mary Kimbrough: Collector whose family has been collecting African art and memorabilia since the 1940s. 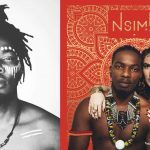 Ramsess: Self-taught artist whose art reflects his love of blues and jazz music. Joey Terrill: Formative figure in the Chicano art movement, AIDS cultural activism and VIVA!, the first gay and lesbian Latino art organization in Los Angeles. Make a doll to give to children and families affected by HIV/AIDS at two Dolls of Hope doll-making workshops led by Dr. Davis on Saturday, December 19 and Saturday, January 23 at 2pm. The Dolls of Hope Project, which was founded by Dr. Davis in 1998 as part of World AIDS Day activities, has distributed over 6,000 handmade cloth dolls to AIDS orphans, women, and youth affected by AIDS throughout the world. Join for a special preview screening of the documentary Wilhemina’s War, which will air on PBS later in February 2016. 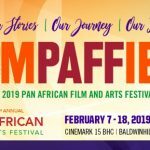 Wilhemina’s War focuses on the impact of HIV/AIDS among African American women across generations living in the South through the story of 62 year old Wilhemina Dixon. This entry was posted in Art/Exhibit, Community, Interview, Social Cause and tagged #BLACKLIVESMATTER, A Girl Like Me, aids, Allyson Allen, bernard stanley hoyes, black doll, black doll test, Black Lives Matter, blackstreet usa puppet, cynthia davis, doll, doll making, doll show, floyd bell, gary jones, hiv, hiv/aids, ingrid humphrey, joey terrill, kiri davis, los angeles, ofelia esparza, pbs, puppet, ramsess, south LA, stormyweather banks, Wilhemina’s War, William Grant Still Arts Center by Tom. Bookmark the permalink. Thank You For This Film This Story … This is another example of They Don’t Really Care About Us … And why we have to raise our voices to save our own Lives … Black Lives Matter.